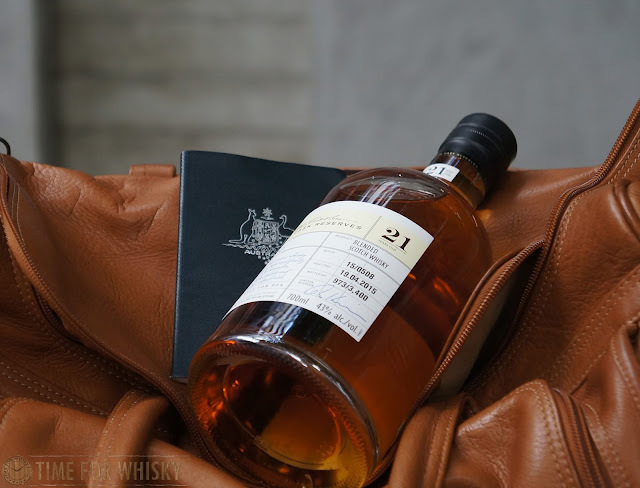 Time for Whisky.com: Tasted #301: William Grant & Sons "Rare Cask Reserves" Araid 21yo...and your chance to win a bottle! 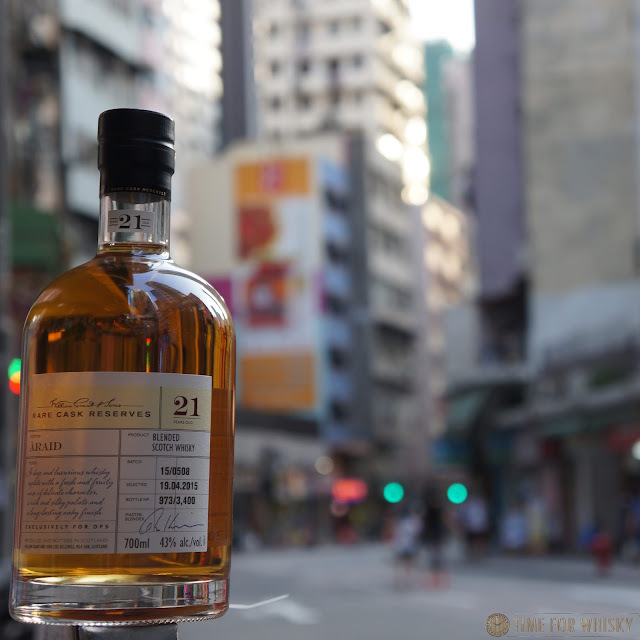 Tasted #301: William Grant & Sons "Rare Cask Reserves" Araid 21yo...and your chance to win a bottle! Everyone knows Glenfiddich, the world's best-selling single malt (or second best when The Glenlivet takes over - it's always close), and many know The Balvenie, Grants, Monkey Shoulder and Tullamore D.E.W. Plenty of you would know Kininvie and Girvan too. ...but did you know William Grant & Sons (responsible for the aforementioned whiskies, bar Glenlivet) also produce a series of blends which they typically release in travel retail (aka Duty Free) markets only? This is one example (a 26yo blend from closed distilleries), and this bottle we've tasted here is another - a 21yo blended Scotch, bottled on 19/4/2015 and limited to 3,400 bottles. Whilst the distilleries (grain and malt) aren't mentioned, we can probably assume there may be some Glenfiddich, The Balvenie and/or Kininvie in there, and most likely some Girvan grain whisky too. There wouldn't be any Ailsa Bay as the distillery doesn't currently have any 21yo whisky yet. Colour: Honey with a (very) slight pinkish hue. Nose: The sherry influence hits you straight away - very pronounced. Flint / matchheads initially, then damp earth, cola bottles and whole oranges. Palate: The sherry influence continues - earthy with a slight hint of sulphur, but also strawberries and hints of port. There's oak (but not too much), cherries, and even some grapefruit zest. Overall it's incredibly smooth (we wouldn't mind a little more ABV, but it doesn't feel "thin" at all). Caramel creaminess rounds out the palate. Finish: Short to medium (longer would be better), with a slight earthy smoke that stays to the end. Rating (on my very non-scientific scale): 91/100. A very enjoyable blend, and one that sherry heads will enjoy, but not exclusively - there's something here for everyone. Entry in the competition (run by DFS) must be via the @TimeforWhisky Instagram, and will be open until 19th June.